There is nothing worse than an ill fitting mask. It will either leak or be uncomfortable. So here are a few tips to help you choose a mask. With scuba we have plenty of air to equalise our masks with and clear any leaks, but for a free diver you are limited to just the one lungful and you don’t want to waste it on equalising your mask as you dive down. 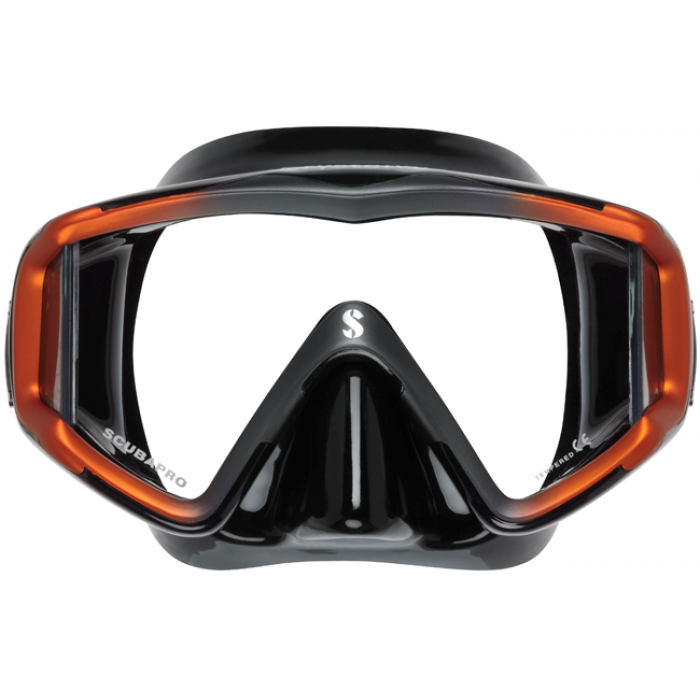 So for free divers, a lower profile mask is very important. Firstly we want to see how good a fit it is. If it doesn’t fit well, then it’s no good. That’s why we have so many on our wall as we have different shaped faces. Get your hair out of the way of where the mask will sit, next get the mask strap out of the way. OK found a couple that fit well. Next is best Field of Vision. Stand in one spot with a mask on, you can use the strap. Without turning your head, note what you can see. Then do the same with any other masks that fit. We can also have some prescription lenses made & glued into your mask. This is a great option for full & half lenses for reading your computer and gauges. Black is like wearing a sun hat, it reduces glare. Some feel it is a bit tunnel vision. New masks have a layer of silicone on the inside of the lens left over from the manufacturing process that needs to be removed before use. Otherwise your mask will constantly fog up. Alternately we sell McNett’s Sea Drops that replaces the spit option. Baby shampoo also works. Anything that won’t sting the eyes can be used. If your face is hot and the water is cool, splash your face to cool it down before putting the mask on will also reduce fogging. Build up of grease and some anti fog solutions will need to be removed periodically, so go back and use the Sea Buff/white toothpaste. When clearing a mask of water, do the same as this will push they water out. Try to avoid breathing out of your nose instead of the regulator as it can increase the chance of mask fogging.